The property management business requires a meticulous approach, but there is no denying its importance in the real estate business. Crowdfunding real estate property management franchises or companies must properly assess the value of property, analyze the optimal maintenance options and invest their resources accordingly. If executed properly, the property franchise owners stands to earn significant profits from the business. Generally, property management can have quite a number of classifications. And, with the ever evolving urban space, there is still more room for newer property types. For innovative property management franchise companies, the future looks bright with economical, creative and professional management of clients’ properties. As a quality property management franchise, there will be plenty of opportunity to provide customized solutions to the various classes of property buildings, houses, apartments, estates, etc. The property management business is a specialized field within real estate. With proper guidance, you can also think about competing in business because it is a profitable industry. However, competing in the industry would require sourcing the best employees. They should be equipped with expertise and knowledge about managing all types of properties. Otherwise, just getting to know the business can be very challenging, even with small business insurance. So, to be successful in the property management business, you might want to reach out to specialists in the field and perhaps, explore franchise options. Real Property Management is a franchise company. They have been managing properties for their clients for over 25 years now. With their industry experience being their strongest point, the company manages all kinds of properties. Sharing their experience, they offer valuable support to franchisee owners. They cover initial training, guides and processes. Even after you are up and running, the company provides operational and marketing support. As a franchise, Real Property Management offers the best in the class business package, including extremely valuable knowledge available only to owners. Additionally, the company has partnerships with some of the nation’s largest financing agencies to provide financial support. 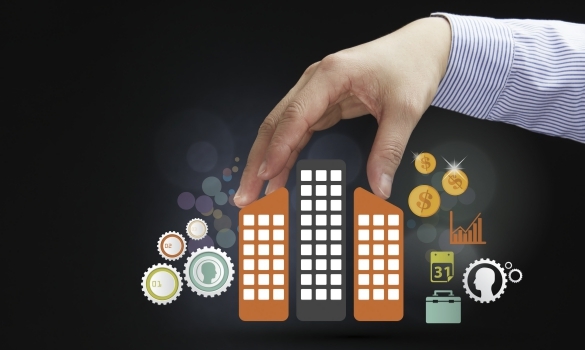 Clearly, Real Property Management can have a huge impact on your yearly profits. Another property management franchise company, The AllCounty Property Management can be considered as one of the best in the business. Recently, the company claimed the number one spot in the sector and overall franchise success rate. Besides their proven business model, the company ensures easy startup for their franchisees, offering support all along the way. The property management company offers franchisee owners to have a look at their various credentials and services, encouraging them to interact in the online community before deciding on the franchise option. By getting involved, you can get feedback from existing franchise owners to be sure of your property management investment. Once you have a property management business, the first thing you need to worry about is how to find clients once you have property insurance. So, just how do you do that? It is simple, really. NETWORK! As you would for any other career or business, you must network to source clients. Joining a real estate investment club may be helpful in meeting many people quickly. In these groups, you are sure to find many landlords, real estate investors and agents. Partnering with a real estate agent who specializes in investment properties may be a great idea, as well. That way, when someone who is new to investment properties asks for a referral, your connection will send them your way. No matter how you go about it, sourcing clients is the number one priority once you own a business in property management. So, make sure you put your best suit (or dress) on and your best foot forward! Advertise your property management business to generate sales leads. If you need to find clients for your property management company, advertising online and offline will help you do that. It allows you to reach the widest possible audience. In addition, online ads make it possible for you to target geographic areas. That way, you will only find property management clients that you will actually be capable of working with. This will cost your business money. But, it will offer a nice return on investment that helps your business succeed, should you do it right. Advertise to build a network of clients for your property management portfolio. Usually, the property management business can surely be a risky investment. However, with several options available for franchises, you would be more comfortable breaking into a competitive business. With the right property management franchise, you could be the one who captures all the new business growing throughout the country.